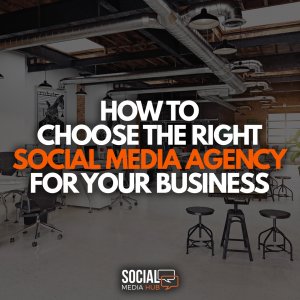 Many businesses reach a point where running their own social media is no longer an option and look to outsource, but finding the right social media agency can be difficult, below, we have compiled a list of questions to take into account to make the process easier. 1. Do they have experience working with your industry? You are more likely to achieve your desired results with an agency who has experience in your industry. If your business falls into a niche category it can be difficult finding an agency with experience in your industry if they do not have the specific experience, ask them if they have worked with a similar business type. 2. How do they advertise themselves? Although similar sounding, how an agency advertises themselves is very important to take into account when deciding which one will be the best fit for your business. For example, if they identify as a Content Marketing Agency, their biggest concern is creating content such as blogs, graphics, videos, etc. and your social media platforms will simply be used to distribute this content and rarely be used to build a following or engage with potential clients. If your main concern social media management and advertising the most viable solution is to work with an agency who exclusively advertise themselves as a Social Media Agency as they are likely to have more experience in the social media field. 3. How easy are the social media agency to contact? When first making contact with the agency, take note of the time it takes them to respond, if it takes them a long period of time to get back to you it’s likely this trend will continue when taken on as a client. Here at Social Media Hub, we set up a WhatsApp group with our team and the clients team during the on-boarding process where we are available to answer any queries 24 hours a day, 7 days a week. 4. How will they monitor their activity and track progress? It’s very easy for a social media agency to tell you what they’re doing for your social media platforms but unless they are providing you with the stats and figures, their information is useless. Ensure with the agency before hiring that they have a clear plan to hit your required goals and have a system to provide the stats and figures to monitor progress and success. 5. Where are they based and do they outsource work? If you are planning on starting a sustainable, long-term relationship with any Social Media agency, it’s a good idea to meet with the team face to face as it will allow you to understand their dynamic and how they work. Meeting with the agency also gives you the opportunity to see how much of the work is done in-house and how much is outsourced. It pays to be careful if an agency outsources a lot of work to a 3rd party source as the information given to the agency is often misconstrued when passed on and can affect results. Social Media Hub is based in the heart of South Wales and are more than happy to arrange travel for any prospective clients who would like to arrange a meeting. Most respectable Social Media agency will offer a free social media audit to prospective clients, this will give you an opportunity to give the agency a better idea of what efforts you have made thus far, where you are now and what needs to be done to reach your required goals.